We know Uganda since 2017. We are helping the artisanal miners to increase their gold mining production since 2017. We are investing into Ugandan gold mining since 2017. And we are helping foreign investors to invest into gold mines and mining sites in Uganda since 2017. Uganda is the Land of Rich Soils. We are providing gold mine investment, funding and partnerships for mining sites and mining license holders in Uganda. Both the Prospecting License holders and Exploration License holders may apply for the gold mine investment, funding, joint venture or partnership. Mining Lease holders holders are also welcome to present their projects. We know Uganda since 2017. We are investing in Uganda since 2017 and we help artisanal miners in Uganda as the foreign investors to quickly start in gold mining production. 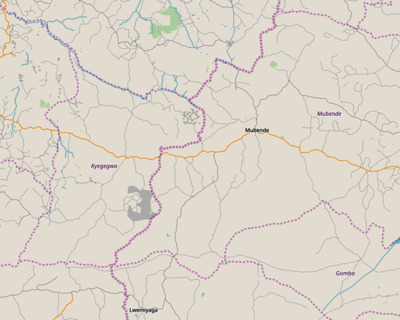 Investment funds for gold mines in Uganda are available to cooperative mining site holders. 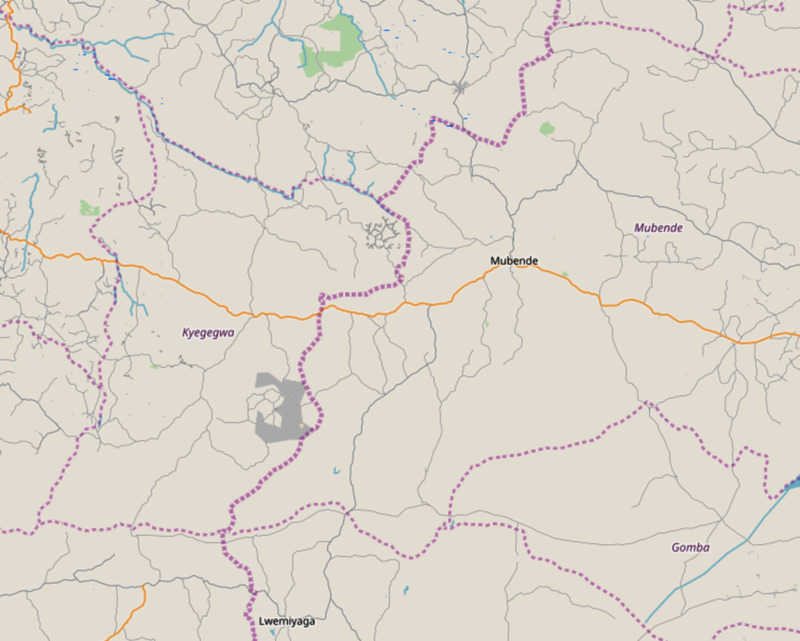 Our company GOLDIVANTI LP is the shareholder of GOLDIVANTI GOLD LIMITED in Uganda with headquarters in Ndaiga, Busia. GOLDIVANTI GOLD LIMITED is holder of Prospecting License № 00009939 valid from February 12th 2018 to prospect for minerals in whole Uganda. We are well connected company. Our clients are investors who wish to join and partner in profitable mining projects in Uganda. Investment funds are applied for such mining sites and licenses that are expected to be profitable and feasible. That is a situation that has to be determined or created. 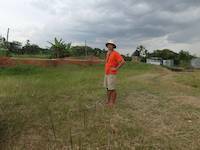 Mining site in Uganda has to be profitable and feasible for the future work. We are engaged in small scale mining and we are interested in short term feasibility of the gold mining site and profitability of such mining site or claim. To determine the feasibility and profitability, we are to conduct Preliminary Site Assessment and Inspection and in the next step the Matrix Gold Prospecting. 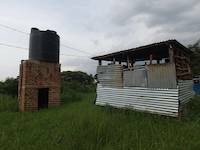 In many cases either our company in Uganda or foreign investor's company is to start the small scale mining production on such mining site. Once the production startup is successful, then present investment, funding and partnerships are to be enlarged and increased, so that serious mining may take place. Investing and funding mining sites in Uganda is a complex process that encompasses the scientific, administrational, financial and geological and mining matters. 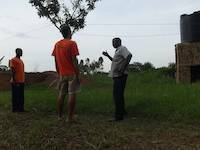 It requires negotiation skills both from our side and from the side of the mining site and license holder in Uganda. By understanding the full process, and following our instructions, the mining site holder may easily reach the agreement and open the door for the future profits. By misunderstanding the process, or lacking basic skills of administration, laws, investing, finances and mathematics, the mining site holder is prone to fail in negotiations. Follow our instructions and be guided for the best future business. 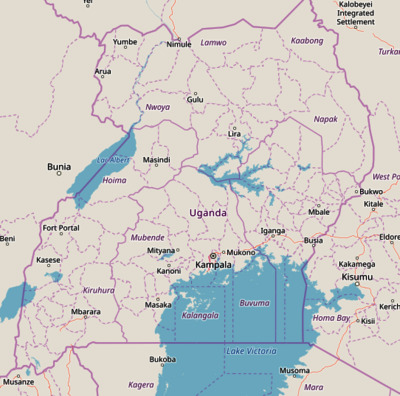 We are researching and developing the present mining site locations with licenses in Uganda. We form partnerships and joint ventures with the Ugandan mining lease and mining site holders. Conducting the Preliminary Site Assessment and Inspection and Matrix Gold Prospecting program contributes to the small scale mining exploration and development of such mining sites. Upon finding and determining the deposits of ore bodies, and first startup of the gold mining production, we are then devising plans for future mining. By following our advise closely, and complying to the agreement, the mining site holder and mining lease holder in Uganda may enjoy the benefits and profits from partnership or joint venture in gold mining. The HDPE (High Density Polyethylene) connectors are used to connect pipes together. Gold pans and sieves are basic gold recovery equipment that one may need. It is used at begin of any action cycle, during the mineral processing and at the end during the final gold recovery. The sucking hose for the water pump shall never be knicked as that is the way how to destroy it faster. These are wooden goats used for about one year in Uganda, during 2018, the feeder box or hopper with the perforated metal sheet. This wooden goat have been used for about one year, one can see that it is not worn out yet. One can see the HDPE (High Density Polyethylene) pipe and the wooden goat in the storage room. This type of water pump is produced in China and according to specification it may pump up to 80 cubic meters of water per hour, that is equivalent to 80,000 liters. Studies on sluices and best practices in gold recovery always recommend using slick plates to allow the finest gold particles to easier separate from the rest of materials. 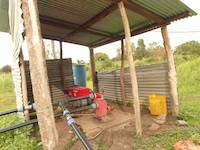 Water spray bars are made out of basic locally accessible plastic pipes. This red miners moss matting sadly was lost the day we have made picture of it. We have plenty of it left. This is so called Miners Moss matting for gold recovery. This is how front of the shop looks like in Ndaiga, Uganda. 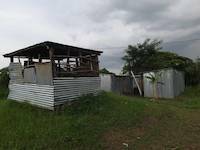 This is business premise in Ndaiga, Uganda. 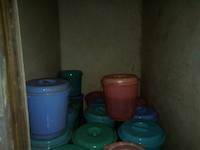 This is how storage rooms may look like, in Ndaiga, Uganda. 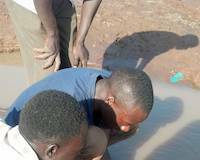 Our appreciated workers are gold panning in Ndaiga, Uganda. This is equipment and buckets in the storage room. This is the bathroom. 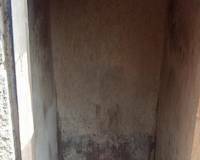 The place to wash your body in Ndaiga, Uganda. 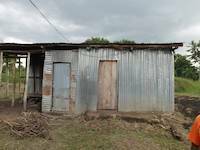 This is the lodge picture from outside, Ndaiga, Uganda. This is how simple lodge room looks like in Ndaiga, Uganda. The area of Amonikakinei is known for gold existence since long time. Alright! Thank you Philippines! Goldivanti Gold in Uganda has got support from Philippines! Thank you Sandy! 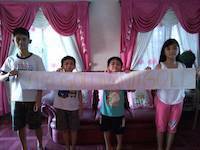 Thank you children of father Sandy. 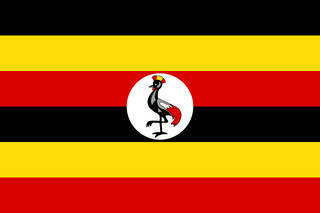 We are working hard in Uganda and in Tanzania. Goldivanti Gold staff members in Uganda are pleased to see this video and greeting. This is the gold concentrate we are collecting in the storage room in Uganda. 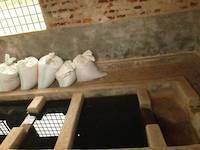 This is the gold concentrate being collected in Uganda. These are small gold particles on the finger, magnified. 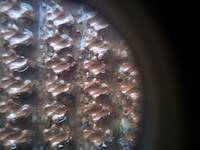 These are small gold particles as captured on our sluices in Uganda. Here is one more gold particle as captured on our sluice. 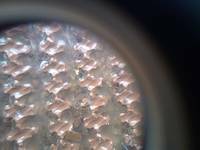 Here are small gold particles magnified as captured on our gold recovery sluice in Uganda. We are collecting the surface gold nuggets and small particles with tweezers, while the concentrate is fully processed at once to collect all the gold. 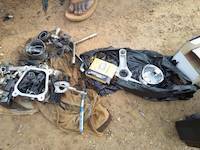 Here are the spare parts used for the water pump reparation. 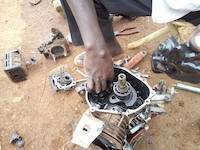 This is how water pump is repaired. 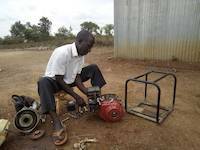 Low quality Chinese water pumps are easily obtained in Uganda, yet ask for higher maintenance expenses. 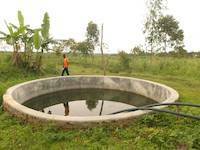 We need to repair the Chinese manufactured water pump. Low quality water pumps have high maintenance expenses. This is what happens when Chinese manufactured water pump is used for few months. It breaks. Avoid Chinese pumps, if you can. We cannot and we have to use them. 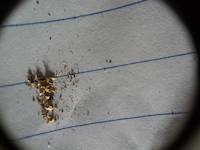 These are small gold particles on paper that is the proof that gold recovery from tailing works. 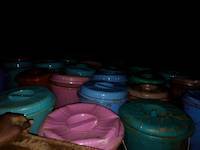 These buckets are full of the gold concentrate as collected from January and February 2018 in Uganda by our company GOLDIVANTI GOLD LIMITED. 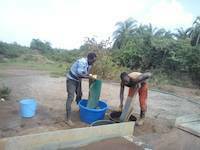 These are our staff members Mr. Okedi and Mr. Wabwire, collecting the gold concentrate into buckets. Every single day they work in Uganda for our company GOLDIVANTI GOLD LIMITED. Looped carpets or miners' moss or 3M Nomad type of a carpets are used to efficiently recover gold larger than 50 mesh, gold nuggets, flakes and larger gold. 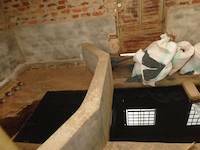 On the end of the day and multiple times of day, concentrates are collected from such carpets. 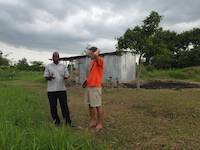 Mr. Louis is doing here practical field assay of gold content in some soil. Similar method may be used to concentrate gold from the operation and to determine how much was recovered. This is magnified and flat gold nugget in the pan. It is probably flat due to the previous ball mill processing, it was smashed and became flat. Small flat nuggets are also found in concentrates and recovered by using super-concentration and simple gold panning methods. This is how it looks like when many gold particles are connected or amalgamated together with mercury. Miners used mercury in recovery of gold, and lost it in heaps of tailings. We are recovering both the mercury and the gold from such tailings, without using new mercury or introducing new mercury in the process. This is mercury gold once again shown in the gold pan after fine gold concentration process. We do not use mercury, we recover it as side effect. Instead of nice yellow gold, our gold looks as silver like, as it is mixed with mercury. Heaps of tailings are polluted with mercury and our recovery is such that we cannot see it yellow any more unless it is either microscopic, as such could not be connected to mercury or too large as nugget, as such also did not connect to mercury. This is fine gold recovery system that helps us concentrate all the gold smaller than 50 mesh. Heaps of tailings are polluted by mercury from previous mining operation. We are recovering mercury as well with the gold, and later dispose safely with the pollutant. Mercury is not used in our operation. We recover mercury from nature. This is fine gold recovery systems, we are using the genious methods invented by smart microscopist from Oregon for purposes of mercury free gold recovery. Mr. Louis is processing the remaining concentrates and process is fast. It is possible to process multiple buckets of concentrates after work, and to get to the fine gold within 15 minutes. This is view from my working place on the gold recovery system for all gold smaller than 50 mesh, down to 5 microns. This fine gold can be recovered, totally without using mercury and by using simplest set theory in mathematics applied practically. Many people make a question how a set theory may be applied practically, and that is exactly how our gold recovery system works, by using the set theory and by removing those parts of material not containing or containing gold. The buckets of concentrate are today processed for gold. In general, our bulk of concentrate is not large. 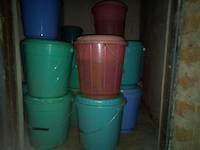 These many buckets contain various particle sizes and types of gold, and help in sorting out what we were doing. We can then determine which heap of tailing was better productive. These children are panning for gold on mining site in a dangerous and polluted environment. Each heap of tailings is polluted with mercury. Children are in constant contact with mercury while playing and working on the mining site. We do not endorse such activities. This is report from neighboring sites where we do not have control. These heaps of tailings are being milled again with the rudimentary locally made hammer crusher that runs in wet mode. 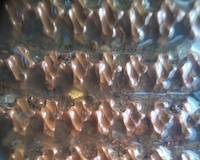 The material is then processed on small looped carpet sluices. The hammer crusher is spending about 25,000 Ugs. per day on hammers alone, which is about US $6.95. On the end of the day, concentrate is collected and retained for further concentration and final gold recovery. Miners are handling the first tailings heaps on this mining site. These women and men are panning for gold just nearby our tailings heaps. They may obtain per day of panning from 0.1 to 0.3 grams of gold, or sometimes more. It helps them live the life. This is our mining and mineral processing site where we have agreement to process all the tailings heaps. Sluice is fed by miners by the rate of 132 shovels per hour where average shovel is about 8 kilograms, amounting to little bit more than one tonne per hour. In the first stage, slow water pressure and low slope is applied to review how much of gold is retained and what gold is eventually being lost. Once capability have been attained, the slope is increasing up to the tolerated degree, and water pressure is increased. Up to 6-8 tonnes per hour may then be handled in the second stage. This is vortex matting, enlarged. Concentrate is under the surface of these particles, including several small gold nuggets. This is Mr. Louis, preparing small details for the fine gold recovery sluice. Gold particles are so small that cannot be seen by naked eyes. 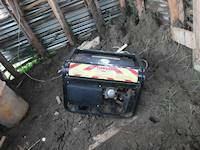 The water pump could not pull the water on 2-3 meters. We found out that pressure was disturbed too weak connection of the suction hose. 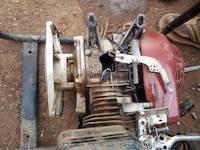 Within few minutes it was repaired and water pump engaged. This is our purchasing manager in Uganda, she handles a lot of accounting, facilitates with suppliers, makes sure that things are running smoothly. This is quick and improvized sluice ready for work and handling of the tailings heaps. Mr. Okedi is preparing the elevation for the sluice hopper. This type of welding clamps may be used for carpentry and are generally useful to clamp the prospecting equipment, such as sluices together. These welding clamps may be used for simple carpentry as one can see it. The HDPE (High Density Polyethylene) pipe is prepared on the mining site for the sluice run. 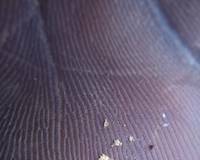 This magnification of 10x shows gold particles of 3-4 millimeter on the rock that also contains some iron or black sand. Those wooden goats were made of low quality timber. Not made to last, but to be light and to endure the improvization stage. We had to repair this one. This is old and abandoned rudimentary ball mill drum on the mining site. One may see how it was repaired multiple times. We suspect gold inside, left for those who know where to search for it. This is gold bearing rock that is crushed, milled and processed on this mining site. This is the tailings heap in background, and Mr. Louis is watching what? Birds? We don't know. This is the enlargement of the mercury coated or amalgamated gold in the gold pan. Mercury gold is seen in the gold pan and represents the result from one portion of the concentrates that were collected on the sluice. Mercury collects small particles of gold together, and we recovery mercury and dispose of it. We do not use mercury in recovery of the gold. We recover both gold and mercury accidentally due to previous mercury pollution. People are handling the sluice for fine gold recovery. We are using 4 important pieces of technology necessary to capture small gold. The test stage allows a lot of mistakes to happen, so that next sluice may be built with all the small improvements necessary for better gold recovery. The sluice is fed during the first half an hour of testing. Clay material was much harder to handle, while all the sand was handled pretty well, mercury and gold particles could be recovered, together with the oxide coated gold particles. Laminar water flow on the sluice is important factor in gold recovery. Turbulences and bubbles or air spaces under the water flow shall by all means be avoided. Sluice and the slick plates on the first part of the sluice are being separated from each other and gold particles are running to be captured. Water flow is carefully observed, the level of the sluice, bubbles and turbulences. There are so many hoses and pipes on the ground, many of them are neglected. Miners do their best. Due to expenses, light blue hoses are used to bring water. But they are also breaking all the time and are more liability than an asset. We are using the HDPE pipe of two inch as it is durable and gives least resistant to water in comparison to those other soft hoses. The HDPE pipe is moved by our people for easier water supply. That way we did not need to cut the expensive suction hose which we use to bring water from the HDPE pipe. HDPE means high density polyethylene. Polyethylene is a lightweight thermoplastic used in insulation, plumbing and similar applications. The sluice is setup on the mining site on 1st January 2018 and is ready for the tailings test. Larger gold particles were found and much of the smaller particles of black, brown and dark red gold. Maybe you wonder what is black, brown and dark red gold? Those gold particles are coated with other minerals and do not appear as yellow and shiny as larger gold particles. 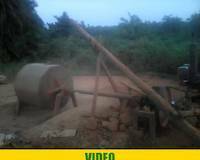 This local crusher has capacity of about 100 to 150 kilograms per hour. It is locally welded and constructed. It uses Chinese engines. The total price of such crusher may be well over US $4,000 both in Uganda or Tanzania. The money could be well spent on a better and professional crusher with more capacity and durability and less maintenance expenses. One of baboons along the road tried to enter the window of our car. He had the intention, but was not quite decided. We tried to quickly close the window. Do not feed baboons in Uganda along the road. This is the river Nile, the source of life and water for people in multiple countries up to the Egypt. This is the bridge near Jinja over the river Nile in Uganda. Here we are soon passing over the river Nile in Uganda. Muchomo is a tasty barbecue that we get offered on the road. This is one of the reasons why Ugandan people like traveling. This series of images have been made during the first part of Preliminary Site Assessment and Inspection as devised by Mr. Jean Louis for the program Start Your Own Gold Mine that enables our clients to quickly start in gold mining business. 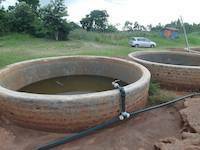 Cyanidation tanks were assessed and found to be leaking fluids thus also leaking gold. 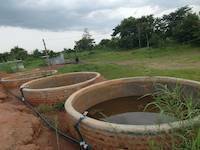 A program have been envisioned on how to improve these gold cyanidation tanks so that full gold recovery may take place.